Check out this great coverage our new shop is getting! Thrillist "12 Essential Places to Eat in Burbank"
Foodbeast "This Marshmallow Factory Wonderland..."
Los Angeles Daily News "S'mores Get Fancy at LA Marshmallow Toasting Bar Plush Puffs"
MyBurbank.com "Plush Puffs Celebrates Grand Opening in Magnolia Park"
LA Times "Marshmallow Bar Plush Puffs to Hold Grand Opening"
Our Ventura Blvd. 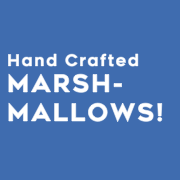 "Plush Puffs Stacks and Torches Deluxe S'mores in Burbank"
Eater LA "A New S'mores Shop in Burbank Lets You Customize Gourmet Marshmallow Treats"